This is a sad book. Obviously the global notoriety and legitimate fame of his Black Swan concept has affected Nassim Taleb’s ability to address a normal readership. 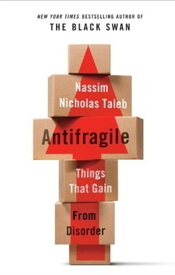 Antifragile : Things That Gain from Disorder consists of a couple of interesting ideas wrapped in a gross amplification of his worst tendencies as an author. It’s too bad because Taleb has produced many thought-provoking concepts that are often original, interestingly inspired, and sometimes very well supported. 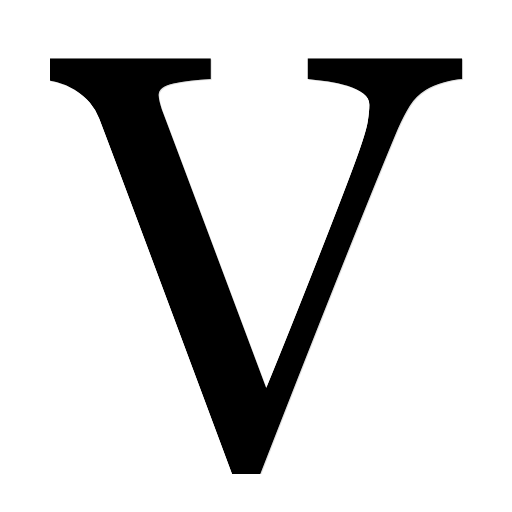 For example: with his concept of interventionism as iatrogenics, it’s difficult for me not to be with him all the way. Even his idiosyncrasies can be attractive and I find myself agreeing with them in principle. Weightlifting, rereading Seneca, all things Mediterranean, wandering about cities — based on the evidence of his life, these are productive activities for a great thinker. But he is not a great writer — and his stylistic flogging of the general reader is intolerable. The stylistic hostility of this book feels especially odd to me because in some ways I assume I fit the profile of Taleb’s ideal reader. I’m an educated generalist who is equally connected to finance and to the arts with $30 to spend on a hardback that I don’t really need. I read his books largely for the hell of it — no obligation, pure intellectual pleasure-seeking. But Taleb’s incessant ax-grinding wore me down, and the book wears out its welcome in nearly every chapter. Why does Nassim spend so much time discussing how much he despises ebooks while he shortchanges the person who has spent $30 for his hardback? He has put me into the position of having to figure out what to do with this foolish undeletable brick. Sorry, I didn’t mean to call him Nassim. I forgot that he prefers to be addressed as “Monsieur Taleb” (page 340) as he so pompously nudges the reader of his ostensibly English-language book. Taleb’s repeatedly announced contempt for editors and similar lowly creatures seems especially stupid in the context of his flabby, undisciplined, self-kissing prose. What is the responsibility of an author to his readers? Who knows, but by the time I reach the third book by any given author, I feel entitled not to be berated. I enjoyed his last two books — Fooled by Randomness and The Black Swan (which I never wrote about) — but it was clear after the latter book that his emergence as a conceptual phenomenon was threatening his ability to think straight or to maintain his endlessly bragged-about personal integrity, as witnessed by his inability to resist giving a highly complimentary blurb to one of the worst books I have ever read — Bursts by Albert-László Barabási. With his third general book Taleb has crossed the line from interesting thinker into unbearable blowhard. An eccentric style that once seemed to be charming or at least novel has devolved into a weird narcissistic dance in front of the author’s mirror. We already know about his loathing of economists, and other suit-wearers, but must he spend time bitching about Hillary Clinton too? He professes to despise schedules of any kind, but is careful to acknowledge people in Milan who hire him for speaking engagements. It makes you wonder how he managed to show up. A nice device of Antifragile — one of the few that worked — was Fat Tony, his hypothetical mafiaesque friend and confidante. Fat Tony’s presence managed to squeeze in a few moments of humor and humanity where there is so little. But the alter ego Taleb invents for the book, Nero Tulip, also manages to inherit his self-crowning tendencies by including himself in the same category as saints, knights, warriors, and not writers but “great writers.” Hold on a second! That particular coronation is the job of your readers and critics, not of Taleb. What about the ideas? There are lots of great ideas strewn about, including the concept behind the title of the book. That’s why Taleb is worth bothering about — there is a lot of solid thought worth more than a little reflection. Daniel Kahnemann’s book, Thinking Fast and Slow, which Taleb says he admires without having had the brains to imitate its style, is also the work of a great thinker, but who manages not to portray himself as an egomaniacal feedback loop of private obsessions. The seemingly original idea behind “anitfragile” — the characteristic of things that grow stronger from stress or chaos — is admittedly rich. But Taleb’s endless enthusiasm for self-mythologizing squeezes all the buoyancy from his fat but fragile balloon of a book. Taleb now regards himself as some sort of infallible oracle when all he has become is just another unilluminating crank. He no longer persuades; he makes pronouncements and petulant asides while insulting his audience. I thought I was purchasing a book about risk asymmetry, not a curmudgeon’s manifesto. Note. This was written December 2012 and forgotten until 20 August 2013, when it was published.